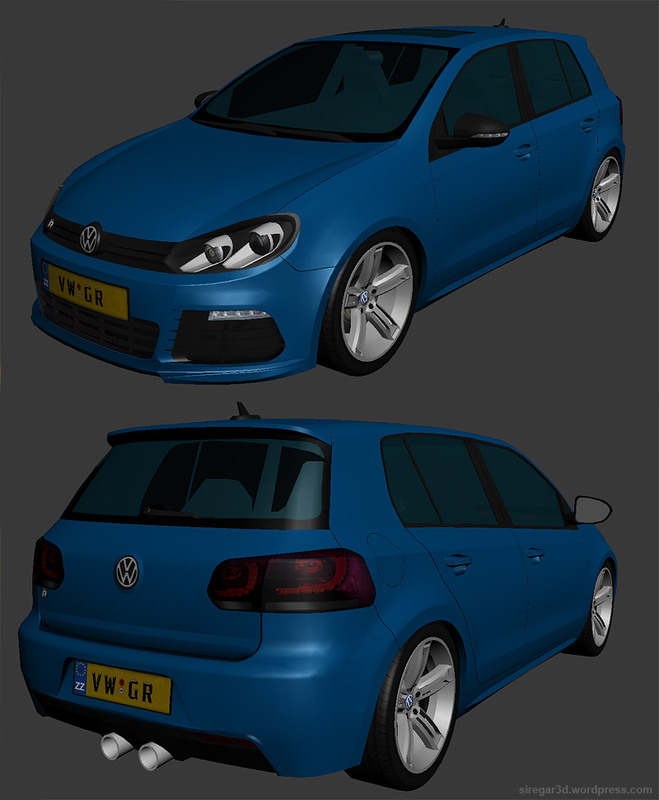 Texturing progress of my VW Golf R.
Its the same spec as the Scirocco, it uses a single 2048×2048 diffuse page. 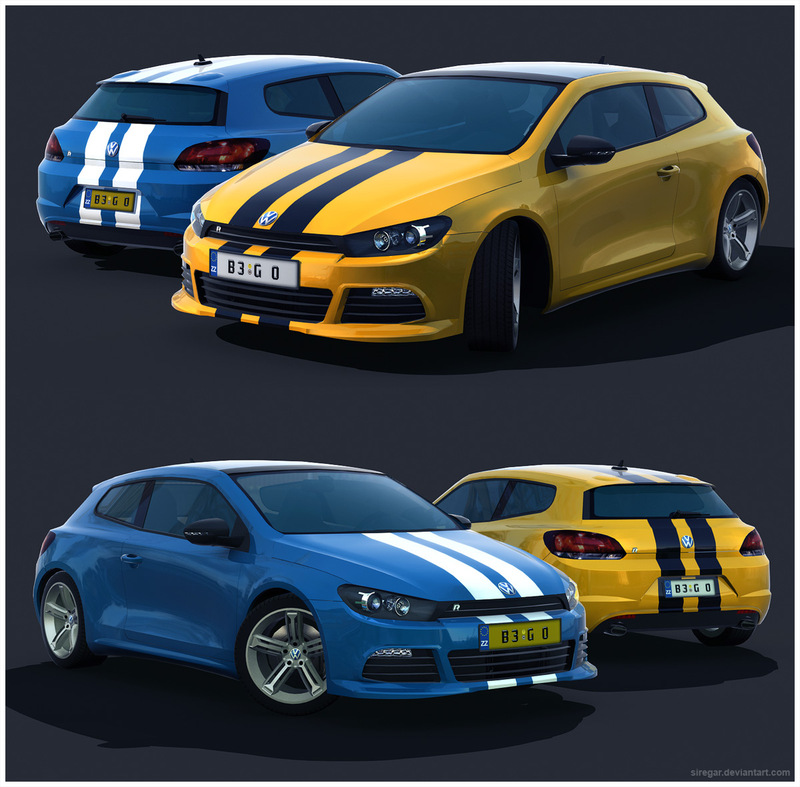 Just playing around with some liveries and renders after Ive done the unwrapping. Added the interior, and sun roof as well. So its been awkward for me at the first time to model it and I got stuck how to model the rear part of this car. but the modeling stage is done, later it will be reduced until 7k-8k polys, with some interior object and with liveries/stripes, logo etc.